Today we’ll be looking at the shadows that often cause trouble in the Twin Flame connection. And before you begin reading, know that I understand. No judgment! This article is meant as a reminder, a checkpoint, a mirror to help you stay the course. If the below “temptations” fit with you, know that you have the power to change things around. Above all, if the temptations of the “dark side” have got under your skin – make sure you clear your energy to step out of negativity and open up to love by uplifting into the harmony you desire. Use the Free Energy Cleanse Tool here to begin clearing out congestion and negativity from your Chakras and Aura, and Infusing your system with New Light. In a world focused on problems and conflict, this is a common issue for Twin Flames. The spiritual fact is, love is the only truth for your Twin Flame connection. But when you take your focus off the fire of love, it stops being nourished. You “tune in” to the channel of problems instead of the channel of love. In energy terms, like attracts like. This means, to want love from a place of anger is an impossibility. You must be in a state of love to really be open to receiving and experiencing love. Trying to get love from a place of anger and blame is like setting your radio to RockFM and expecting to hear classical music. It doesn’t work! Shift your focus and your energy to open up your connection to the harmony and reunion you truly desire. I see this with many Twins and again, no judgment. Our society is one with old traditions of religion encouraging people to look for an outside savior. This is especially common with females. And again, no wonder, it’s something society “teaches” people to do. The divine isn’t something outside of you or superior to you – you are the divine experiencing life as a human being. A powerful co-creator of your experiences! The truth is you are an infinite being who is here because you chose to be! You and your Twin Flame planned to come here together and you arranged so many of your life’s circumstances from a place of wanting to learn. To divide into “separation” in human bodies and journey back together. You are not here to wait for some outer force to magic things to happen for you. You have to be a present, active agent in your own experience. This is a journey of cause and effect, and your soul will keep pushing you to take responsibility, to take action on your journey. Twin Flames are always being asked to balance our inner Masculine and Feminine energies, as well as the union between the two, we are in the alchemy of uniting within. To reach inner wholeness and balance, it’s imperative to balance the Feminine polarity of receiving and intuition with the Masculine polarity of action and outer activity. Bonding around “gossip” and debate is a human instinct, a group social instinct that has served to help people to bond and assist survival in past times. However, on the spiritual journey dealing with others can be just as damaging as it is helpful. 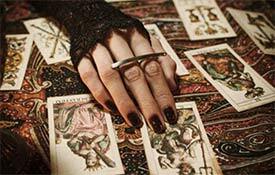 Read more about this here: Whose Beliefs Are Mapping Out Your Twin Flame Journey? In Ascension and on the Twin Flame journey your soul is always pushing for you to go within, to step into your own power, to discover your own light… And to connect into the space inside where you become your Twin Flame and they become you. 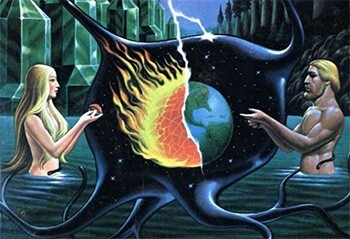 The more time you spend debating the connection with others, the further you travel from your own inner center and the core of your Twin Flame connection. 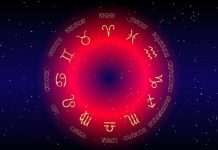 If you’re looking for answers about your Connection, wanting to center into your truth and to uplift your connection, to reach Twin Flame Union – have a look at the Vibrational Alignment Program. Contrary to what the majority of information out there will lead you to think, The Twin Flame journey is not a “one size fits all”. Yes, the purpose is love. But the variety of ways we chose to divide and journey back to unity, is endless. All Twin Flames are experiencing different aspects of lessons, choosing to develop and learn in different ways. And there will not always be a “bubble phase” (I was asked about this recently – who comes up with these terms?). The Twin Flame rules and “musts” are false ideas. Ideas created from human ego consciousness. Spiritual truth is much deeper than categories and rules (if something seeks to divide and judge, it is ego consciousness. Based in separation). Ultimately, the Twin Flame journey all about love, and you yourself hold the inner map to your journey. You are the one who has to travel your path. No one can travel your path or learn your lessons for you. There’s no “Twin Flame rulebook”. This is why I teach tools, not “rules”! Learning to manage your energy, clear old negativity and uplift into a higher vibration will work wonders both for your Twin connection and your life in general. Have a look for my method, where I take you step by step through how to uplift your unique journey into greater love and harmony. I was asked to share this with other Twins after my own mirror soul and I reached Union. This is a lesson all Twin Flames are being pushed to learn – to connect with our intuition, our spiritual “compass”. Your soul will always be pushing you to go within, to connect to your own truth, to find your own divinity, the inner connection to your Twin Soul through love. The more you look outside for answers, the more your soul will push you through circumstances and real life “blocks” to try to get you to go within and find your *own* answers. To make your journey smoother, more joyous and harmonious, begin to listen to your soul. Note down what’s going on in your dreams at night. Pay attention to repeating symbols and messages. And above all, meditate. Quiet the mind and go within. Just a few minutes a day to start with, will make a difference. And if you find meditation tricky, I’ve created a Free guided meditation where I talk you through relaxing and quieting your mind step by step. You might find it helpful to start with this before you venture into “classic” meditation again. Download the Free Meditation here. There is some truth in the idea of trusting a higher part of your being, however… (drum roll)… You *are* the universe…! The divine is always in you, is you, not something outside of you pushing you to give in or submit to its will. If you are finding it helpful to “surrender”, be mindful of how you approach this as it could be damaging long term. Read more about this in the article: The Truth About Twin Flame Surrender. You are here completely capable of making love happen, of reuniting with your Twin. Otherwise, the two of you would not have chosen to come here! 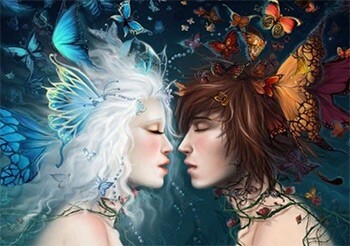 When two Twin Flames reincarnate at the same time, it is with the express purpose of journeying together back to love. If you were meant to focus on individual experiences, one would usually remain behind in spirit to guide the other through their experience in the physical. Ancestral Crown Chakra blocks of religious conditioning and powerlessness create blocks for many Twin Flames. 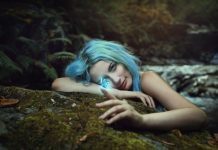 I was asked to channel the new Dimensional Anchoring and Awakening Session to assist Twin Flames with this – including to help unawakened Twins rouse to full awareness. If your Twin is “asleep”, you’ll want to have a look at this. Remember that what you energize, manifests! Think of it like this: What you focus on, you get more of. So, do you want more of what you’re currently giving your attention to? If not, it’s time to shift your focus. There can be challenging moments on this journey for sure – but there are also beautiful moments, and this is a connection that defies words: It really is a love beyond love. A love that can lift you up and bring you home to yourself – a love that can illuminate your whole life. The problem is that we human beings have evolved to look for problems everywhere – it’s how our ancestors survived; they had to find the potential source of death before it found them. Often we get into a loop of thinking over and over about all the difficulties and the hurt between our Twin Flame and ourselves. The thing is: if you’re in a loop of negativity, you’re only inviting in more negativity. It’s like being tuned into a radio station with music you can’t stand – unless you change the channel, you won’t hear different music. Science believes that early life programming from experiences with getting our needs met, shape how we react to addiction and how we behave in relationships. Because they learned that in order to get what they needed to survive (love, attention, nourishment) they had to fight for it, scream for it, cause a fuss every time. These are the people who have an unconscious belief that love can and will be taken away from them – so they’re testing everyone, pushing them away to see if they will stay. These are usually the people who become “Twin Flame Runners”. The spiritual truth is that we are love. And these early life patterns of believing love is going to be taken away from us, are a big block to the Twin Flame connection. Many Twins who are spiritually conscious and doing their inner work, struggle with the emotional intensity, heaviness and inner “drama” they feel from their Unawakened/Runner counterpart. On the Twin Flame journey, and especially when Twins start to enter into the soul merge process – energies and information begin to blend between the two Twin Flames’ energy systems, and there can be triggering and “issues” as negativity travels back and forth. I was asked to create the Complete Harmony Healing by spirit, to assist with this. This clearing will clear out potential triggers of running/chasing/separation and ensure that only high vibrational energies are blending between you. Plus, we shield you as a pair to protect you both from harsh outside energies, and much more. Have a look here to discover more. The Twin Flame connection is transformational, spiritual, eternal. When we try to apply the traditions and expectations of a “regular relationship” to it, we create frustration. Your connection is sacred, full of divine love. But in order to experience the divinity of the Twin Flame connection we have to stop trying to “control” it with regular expectations. The world is full of old world 3D beliefs around men and women, the nature of marriage and relationships. 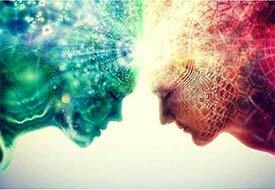 In order to fully invite in the divinity of the Twin Flame connection, we have to remove the old debris of the “human world belief systems” – 3D relationship patterns of control, conditional love and male/female conflict systems. Twin Flame Ascension and Awakening is a challenge for most – after all, our whole experience of reality is being broken wide open. However, remember that you’re fully equipped with the inner guidance and wisdom you need to navigate this journey. The key is to go within, to manage your energy and connect with your own higher faculties. Many Twin Flames get addicted to the idea of salvation – chasing new insights all the time, often from healers and psychics. Chasing the “payoff”… The problem is that this will keep you in that state of always seeking, never finding. If this is you, it’s important that you go within. That you begin facing your own shadows and discovering what’s *really* going on beyond the surface. Your soul has been waiting for you to do this. Are you someone who’s been on this blog for years reading but not doing the inner work your guidance is calling for? If so, please do download the Free Guided Meditations and eBooks here, as they have made a positive difference to so many already. It’s free, so what have you got to lose? I believe in you! Don’t forget you are here for a reason. Want more? For my step-by-step “roadmap” to Twin Flame Union, created after my Twin and I reached Union on my own journey – have a look at the Vibrational Alignment Program for Twin Flames. And you can read here about other Twins’ experiences with the program! Alternatively you can try our Free Downloads for Twin Flames! Do you want more free resources and articles about Twin Flames in your inbox? 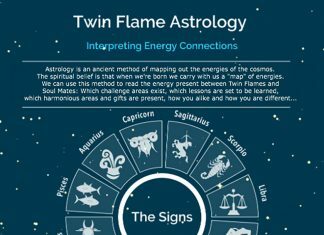 The Twin Flame Test – Have You Found Your Twin Flame?